How Can People Be Robbing God by Withholding a Freewill Offering? You write that, “Malachi 3 speaks of robbing God by withholding tithes and offerings. 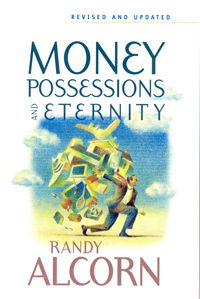 This means that even prior to the New Testament, people with substantial assets were considered to be robbing God not only by withholding tithes but offerings (freewill).” My question is: how could people be robbing God by withholding something that is a freewill offering? That seems to be a contradiction in its very term. If it is “freewill” it cannot be required and if it is not required, than one cannot be robbing God if it is not given. What you're saying may seem to make sense, but the fact is Malachi 3:8 says it is so: "Will a man rob God? Yet you rob me. But you ask, ‘How do we rob you?’ In tithes and offerings." So the robbing God referred to is not only by the withholding of tithes, but also of offerings, which were freewill. A tithe is not the same as an offering. If it were, it would be redundant to say both. So, why are they stated to be robbing God not only in the withholding of tithes but also of offerings? I think this is because God has a will for our lives that goes beyond the essential demands of Scripture. In other words, God has expectations of us that don’t just apply to the giving of tithes but to freewill offerings. Just because something is freewill for me doesn’t mean God doesn’t have a will about it. There is no law that says I must share Christ with the person sitting next to me on the plane, but often I believe God actually wants me to do it, and sometimes He probably wants me to do it when I don’t. So it is freewill evangelism for me, and I’m not under constraint, but God can still desire me to do it and I can still be disobedient when I don’t. The tithes are exact amounts, and this is why they serve as merely the objective starting place of giving. 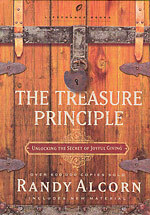 The value of non-givers moving to tithing as a first step is that it is a way to learn giving disciplines. The law is a tutor to lead us to Christ, as Galatians says. We would say that Scripture doesn’t require us to set aside time each morning for Scripture meditation and prayer. But we would also say that for most people it’s a good idea. This is the development of holy habits, not because we are under the law, but because obedience is to characterize our life. Rather than worry that they will become legalistic about having a quiet time, the bigger concern is that they will experience the “Christian liberty” of not spending time with God, which may preserve them from legalism but will assure that they go nowhere in their walk with Christ. I always say “fine” to everyone who writes to me and says they believe in grace giving. “So do I, absolutely,” I say. “So what does grace giving look like in your life?” In almost every case where we have had the discussion, what they call “grace giving” is less than a tithe, often way less. And my response is, how can we call this grace giving? Acts 2 and 4 and 2 Corinthians 8-9 etc. are grace giving, 1 Chronicles 29 is grace giving (far beyond the tithe), but how can you live in the wealthiest society in human history and practice “grace giving” when you give less than God required of the poorest Israelite? Does grace really lower the bar of the law? No. It raises it. Big time. On the one hand is the problem of legalism, a smug self-congratulation that makes one proud to fulfill the law’s minimal requirements. On the other hand is license, the thought that knowing Christ means that the first three quarters of God’s Word has no relevant principles or guidelines for me, or that any principles in the New Testament simply lower the bar to a sub-law level. The thought is that as a Christian, God expects less of me in terms of dedication and sacrifice than He expected of Israel, who did not know the Redeemer and was not indwelt by God’s Holy Spirit. I say it’s the opposite. He expects more of me, which is why I always teach that the tithe is not a goal or a badge of righteousness, but merely a starting place, the training wheels of giving. If you’re giving as you should, you don’t need the training wheels. If you’re not, you probably do. Because I’ve talked with innumerable truly generous givers and again and again I hear them say they started by giving 10 percent. But then when God blessed that and they experienced the joy of it, they went further into true giving, and left the 10 percent in the dust. I’m sure there are all kinds of people who’ve never practiced tithing even as a beginning point to get them going on the road to giving, and who just became generous givers with no help from or reference to tithing. Interestingly, however, I have met very few of those people, and far more who got started on the road to giving through tithing. Jesus said “You’ve heard that it was said a man shouldn’t commit adultery, I tell you if a man looks at a woman with lust he has committed adultery.” Did Jesus lower his spiritual expectations of us? No, He raised them. If someone says “I don’t tithe because tithing is way too little,” I say, fine, that’s a great reason not to tithe. Many of the rest of us might say it differently: I tithe, then give freewill offerings that far exceed the tithe. Either way amounts to the same, but anyone who gives 90% of their income is obviously giving 10%, as well as another 80%. Many churches teach that tithing is legalism. There has been a strong reaction against tithing for years, and in fact, tithing has been abused in many churches. Interestingly, I have seen no evidence that “grace giving,” as taught by anti-tithers, leads people to higher levels of giving. I have seen many cases where it is used to justify their lack of giving. I have a friend on a modest salary who gave a minimum of 10% and often gave beyond that, then went to a good Bible-teaching church that said tithing was legalism (again, there are many such churches). So he and his family set aside the tithe as the starting place. Within a year he was giving nearly nothing, and he told me he was floundering in his Christian walk. He had become more materialistic, and though he was making more money, he was keeping more than ever before. After years of not giving he came to another church where tithing was regarded as the training wheels, the starting place of God’s Old Covenant people, and therefore a natural place to begin (not end) for God’s New Covenant people. He and his wife started giving 10% again, and then moved to more and he told me they had found a joy in giving they had lost at their former church. So the cultivation of generous giving is hardly synonymous with the message “stop tithing.” Tithing is the shallow end of the pool and we want people in the deep end, but what we have right now is a lot of people sitting on the lawn chairs not getting wet. If we invite everybody to go off the diving board at the deep end, some intrepid souls will do so. But a lot of people, coming in at the shallow end, will learn that the water feels pretty good and they actually want to go deeper. That’s what tithing can do. It doesn’t always, of course, but it beats staying out of the water, and most the people who end up in the deep end will start in the shallow end. Or maybe 10% is easing into the pool at the three foot level, and the super-shallow end is giving 3%, 5%, 8% or whatever. Fine. Do I think it’s better to encourage people who don’t give to start giving 3% and people who give 3% to move up to 6%? It’s certainly better to do that than to do nothing. But I also think we want God’s blessing, and I think the “test me” of Malachi 3, the Bible of Jesus and the apostles, was written for our instruction as part of His Word and is not irrelevant. Personally, I think God wants non-givers and almost-nothing givers to say “Look, you required this of people far poorer than me who didn’t have the indwelling Spirit of God, so surely I can start giving at the level of one of those three tithes you required of them.” Some would think the “test me and see” could apply to moving from two to four percent. Personally, I think moving to where God started his people makes more sense, and I have more confidence the “test me and see” would apply.